Dale Jackson - My minimalist mixing palette for Photoshop. My minimalist mixing palette for Photoshop. 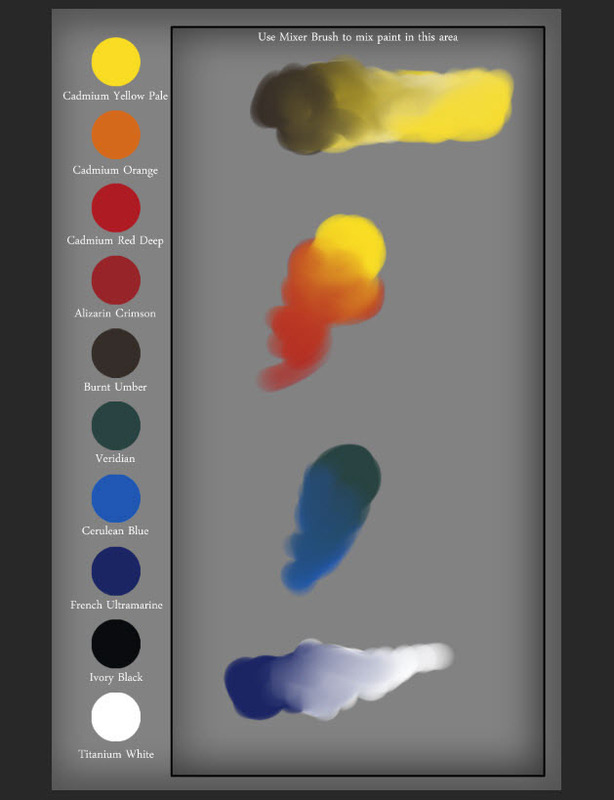 Okay, here's my color mixer palette for Photoshop (CS6 and above only). These colors are my own Winsor & Newton limited palette colors (except I don't use black anymore). To use it, you have to use the Mixer Brush Tool (not a normal brush) in Photoshop. Color mixing has been added to Photoshop since CS5 I believe, and is a great tool. Please read the instructions text file in the .zip file that I'm linking here. If you have any questions, don't hesitate to ask away in the comments below, and I'll do my best to answer. Happy painting!